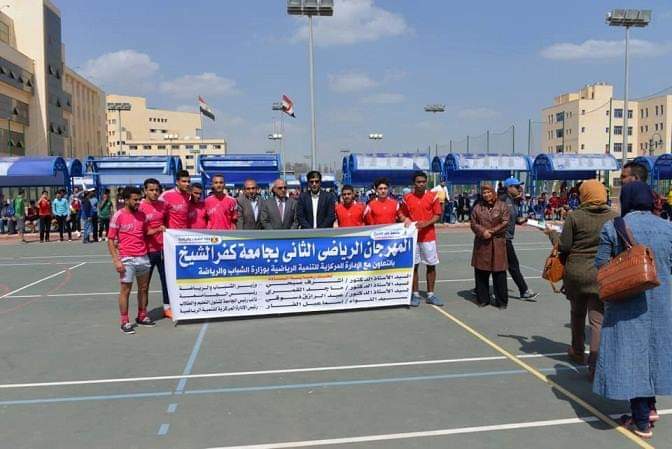 Under the Patronage of the President Prof Dr Maged el Kemary and the Ministry of Youth and Sports and in cooperation of the general management of youth welfare, university student union, represented by the sportive committee, organizes the sportive festival for students of faculties and student housing “male/female” today Monday 8/4/2019. This festival includes variety of sportive activities in the group and individual games. As well, the President Prof Dr Maged el Kemary adds that these activities contribute to increasing students’ awareness of the subjects related to practicing physical activity as well as participate significantly in developing their creative skills and talents. He also stresses the university's keenness to raise awareness of the importance of practicing physical activity and intensifying academic efforts to promote sportive awareness and the culture of honest competition.